If you want to have soft-boiled egg, use Alkaline Ionized Water while you’d better use acid water to easily break egg. It can help you easily and quickly cook egg. Acidic Ionized Water keeps contraction effect, so using the water for washing face contracts the skin pores, maintaining the skin elastic and glossy. Agricultural chemicals are normally used to look better. However, it fatally causes diseases. Generally, such chemicals are strong alkali, so to take vegetables or fruits safely and cleanly, they need washing with Acidic Ionized Water to neutralize chemical substances, rinsing with Alkaline Ionized Water and be stored in a fridge. 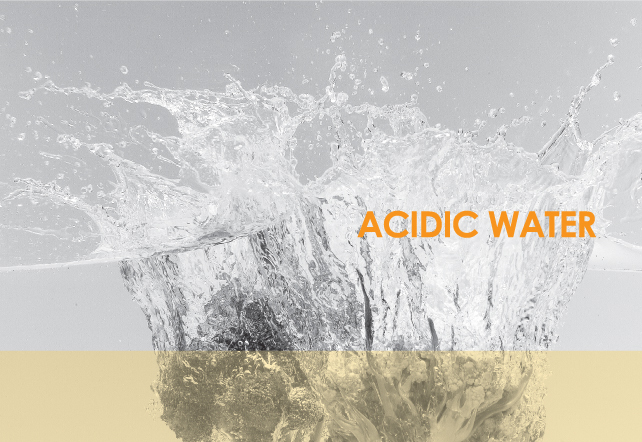 Acidic Ionized Water keeps a strong oxidation as much as 5 times of chloride, eliminating viruses, bacilli and even agricultural chemicals. To cook pork with less fat, soak raw pork in acid water before cooking and rub it with hands. Stains on a kettle or burn pot may be restored if being soaked in acid water for a day. Using acid water for bathing women’s private parts functions as a natural cleaner. It is cleaner and safer method than chemical products. If overworking in standing, walking for a day or feet are swollen, bathing feet with acid water, relieving fatigue and swollen parts. When you have a scratch or get a cut, please remain calm, disinfect with acid water and apply a proper medicine. It prevents the part from festering and fosters stopping of bleeding with mitigation of pain because of contraction effect. When ill-smelling due to dregs and dust built in sinkholes of sink or bathroom, pouring strong acid water may eliminate propagation of mold, deodorizing. Using Acidic Ionized Water rubbing an ink-stick makes ink darker and well rub. Using Acidic Ionized Water to clean corridor and tiles easily eliminate dust on corners while it is not sticky because it is quickly dried up. Soaking spoons in strong Acidic Ionized Water sterilizes, disinfects and cleans spoons and makes it glossy. Boiling water for bath with Acidic Ionized Water saves time because of high thermal conduction and prevents slime from being built on a bath tub. Acidic Ionized Water must be used to wash dishes because it has the effect of cleaning and sterilization and maintains tableware clean and glossy. If you receive a bouquet celebrating any anniversary, you’d better spray Acidic Ionized Water on the cut side of flower to maintain them fresh for a long time. Acidic Ionized Water has the function of astringent, so using it for washing face makes your skin smooth and glossy. Boiling cotton tablecloth too frequently causes them worn out, so it is helpful to soak them in Acidic Ionized Water and wash them, which eliminates bacilli stuck on them and removes impurities inserted into cuts on a chopping board. Using Acidic Ionized Water to wash fur of pet can prevent pet from suffering from infectious diseases while maintaining the fur glossy and fostering the growth.